The companies Uber Technologies Inc. and Lyft Inc. offer smart phone apps that allow you to find drivers available for hire. The companies have expanded rapidly in the last year and are just now hitting the City of Pittsburgh. Investigators from the Pennsylvania Public Utility Commission responsible for regulating taxi cabs caught the companies operating in Pittsburgh and two judges have issued orders for the companies to stop offering their services in the city. As Josh Eidelson in Business Week notes, the conflict in Pittsburgh is not a new experience for the companies. They have also met with resistance in some other states and localities in which the firms began offering services without first obtaining regulatory approval. The House Commerce Committee is set to vote on June 17th on SB 622 the Debt Settlement Services Act. This legislation covers the licensing and regulation of debt settlement companies in Pennsylvania. Debt settlement services run television commercials in which companies with comforting names that include words like free, freedom, and relief offer consumers a chance to cut their debt by up to 50%! There has been a wave of deregulation bills introduced in statehouses across the country in recent years, and the latest in Pennsylvania is targeting landline telephone service. The plan could end up limiting access to broadband service in rural parts of the commonwealth and sharply increasing telephone rates. This week at Third and State, we blogged about the state budget, the danger facing America's leading food security program, Pennsylvania's unremarkable private-sector job performance, and a gambit by payday lenders that backfired. On state budget and taxes, Sharon Ward shared the Pennsylvania Budget and Policy Center's detailed analysis of the 2013-14 budget, and Michael Wood explained that tax changes enacted along with the budget made some steps toward reform but weigh the state's Tax Code down with more special interest tax breaks. On the federal budget, Sharon Ward wrote that legislation separating agricultural programs from nutrition supports funded through the farm bill poses a threat to food assistance for millions of struggling parents, children, and vulnerable citizens. 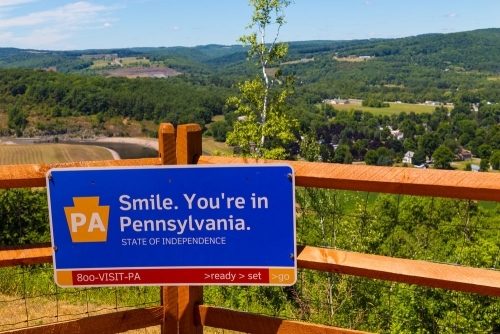 On jobs, Stephen Herzenberg blogged that Pennsylvania’s private-sector job growth has almost stalled since about a year into Governor Corbett's term. On consumer protection, Mark Price explained how payday lenders won few friends in the state Senate when they convinced House leaders to insert language into a must-pass Fiscal Code bill stating it was the intent of House and Senate leaders to enact payday legislation in the fall. Payday lenders convinced state House Republican leaders to slip a line into a Fiscal Code bill needed to implement aspects of the new state budget stating that it was the "intent" of House and Senate Republican leaders to pass legislation legalizing high-interest payday loans in Pennsylvania. This week at Third and State, we blogged about the payday lending debt trap, a big rally at the Capitol in support of expanding Medicaid coverage in Pennsylvania, 10 reasons Governor Corbett's pension plan will cost taxpayers more, the latest with the state budget, Pennsylvania's housing market, and more. On payday lending, Mark Price wrote about a Senate bill that will open the door to payday lenders to come to Pennsylvania and charge triple-digit annual interest rates on short-term loans. On health care, Chris Lilienthal blogged about a Capitol rally that brought out hundreds of people from across Pennsylvania to put some faces (and stories) to the ongoing debate over expanding Medicaid coverage in Harrisburg. On the state budget, Sharon Ward wrote about superintendents from cuts-ravaged urban school districts coming to town to press for more education funding, among other happenings in the Capitol this week. On pensions, Stephen Herzenberg shared the Keystone Research Center's top 10 reasons Governor Corbett's pension plan will dig a deeper hole for taxpayers. On housing, Mark Price shared some charts on the Pennsylvania housing market. Congratulations to the honorees of the 2013 Keystone Research Center Annual Awards Dinner: Henry Nicholas, president of the National Union of Hospital & Health Care Employees, who received the Sol Hoffman Award, and the Restaurant Opportunities Center United, which received the Susan C. Eaton Award. Read the Pennsylvania Budget and Policy Center's media statement on the House passage of a 2013-14 budget bill and get the latest budget news here. Read a fact sheet on the Medicaid expansion in Pennsylvania. Read a memo to lawmakers from the Keystone Research Center on how transitioning new public employees to 401(k)-type retirement plans will cost taxpayers more. Read KRC's policy brief on how public pensions inject millions of dollars into local economies across Pennsylvania. Learn more about public pension reform here. Learn more about education in Pennsylvania with data on student enrollment, school funding and more. Join the Pennsylvania Budget and Policy Center on Tuesday, June 18 from 4 to 5 p.m. for a webinar highlighting the latest on the 2013-14 state budget. Learn more and register to participate. Last week, the Senate Banking and Insurance Committee in a narrow vote approved Senate Bill 975, opening the door to thousands of predatory payday lenders to come to Pennsylvania and charge fees on short-term loans that equal an annual interest rate of over 300% on a typical two-week payday loan.